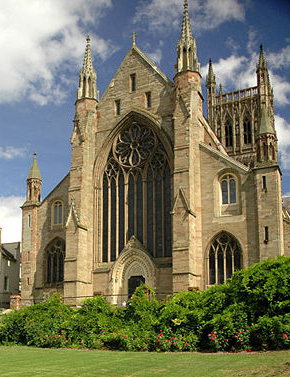 Worcester Cathedral's pre-Conquest and Conquest-era archive is known to have included texts of over 200 acta preserved in a variety of contexts: several survive in multiple versions. Among these records are twenty-five extant single-sheet acta; in addition, there are transcripts of at least another 57 pre-conquest single-sheet acta now lost, many of which were preserved at Worcester until the mid-seventeenth century. Although Worcester's early record-keepers preserved texts of significant acta as single-sheet memoranda from as early as the late seventh century, during the course of the eleventh century they also recorded versions of many of their collected acta in at least three different cartularies. Comparison of these three eleventh-century record collections and the few surviving single-sheet Worcester acta indicates how attitudes regarding the significance of written records changed during the course of the eleventh century. The implications of textual development observable in Worcester's early records may also reflect changing attitudes toward establishing and signalling textual authority in high medieval literate culture at large. The western facade of Worcester Cathedral today. In the mid-seventeenth century, Sir William Dugdale compiled a list of 92 single-sheet acta then extant at Worcester Cathedral. (Hickes, Thesaurus, ii, 299300) Judging from his brief descriptions, many of the records he found were post-conquest; but most of those he listed refer to acts accomplished prior to 1066. In 1888, Walter de Gray Birch attempted to reconstruct the contents of Worcester's pre-conquest archive and compiled a handlist of 138 pre-conquest charter texts which he thought might have been preserved at Worcester as single-sheets until the years prior to Dugdale's census. (Birch, "The Anglo-Saxon Charters of Worcester Cathedral", 24  54; cf. Keynes, "Anglo-Saxon Charters: Lost and Found", 57-9) C. H. Turner's 1916 study of early Worcester manuscripts includes an abbreviated list of 66 early Worcester documents, dating from 680 to 838, for which he thought "original" versions had been lost. (Turner, Worcester MSS, xxxii  xxxix) However many early acta may have been preserved at Worcester during the Middle Ages, only twenty-four pre-Conquest or Conquest-era Worcester single-sheet charters are currently in British Library collections. At least another twenty-four single-sheet Worcester charters were in the possession of Lord Somers of Evesham in 1703, but this collection disappeared sometime in the eighteenth century, possibly destroyed in a fire at Lincoln's Inn in 1752. (Keynes, "Anglo-Saxon Charters: Lost and Found", 58-9) Fortunately a catalogue of the Somers charters had been printed by George Hickes and Humphrey Wanley in 1705, and eighteen texts of the destroyed charters had been printed by John Smith in an appendix to his edition of Bede's Ecclesiastical History (Cambridge: 1722). Apart from a single pre-Conquest charter that was returned to the possession of Worcester cathedral in 1878 (Turner, Worcester MSS, xxxix  lx; 31  32), all other pre-conquest single-sheet Worcester charters had disappeared from the cathedral archives before the nineteenth century. Of the texts recorded in Worcester's eleventh-century cartularies, single-sheet versions of the following texts appear to have been lost since the seventeenth century: S 75, 76, 95, 99, 103, 109, 113, 116, 117, 120, 146, 147, 154, 180, 193, 201, 212, 218, 1252, 1260, 1297, 1298, 1340, 1346, 1348, 1363, 1370, 1430, 1432, 1446. Of the surviving single-sheet acta, only oneS 117can be directly compared to versions recorded in more than one of the eleventh-century Worcester Cartularies. Interestingly, S 117 appears to have survived the Middle Ages in two single-sheet copies: the current BL Cotton Augustus ii, 30, and another charter which was destroyed with the rest of the Somers collection in 1752 (Somers 5). Consequently, four medieval versions of this text existat least three of which can be demonstrated to have been recorded in their current form before the twelfth century. BL MS Cotton TIberius A. xiii contains two of Worcester's three extant eleventh-century cartularies. Neil Ker's 1948 study, "Hemming's Cartulary: a description of the Two Worcester Cartularies in Cotton Tiberius A. xiii" in Studies in Medieval History presented to Frederick Maurice Powicke (Oxford, 1948), remains the most comprehensive description of the entire manuscript, although recent studies by Francisca Tinti and Stephen Baxter have contributed immensely to our understanding of the two collections of memoranda that it contains. The most complete edition of the contents of the Tiberius manuscript currently available is Thomas Hearne's Hemingi chartularium ecclesiae Wigorniensis. e codice MS penes Richardum Graves, etc. (Oxford: 1723). Hearne's edition, however, was based on a transcription of Cotton Tiberius A. xiii made for the seventeenth-century antiquary Richard Graves (now Oxford, Bodleian Library MS Rawlinson 445) rather than on the manuscript itself, so its value as a record of the manuscript's arrangement and physical condition is limited. Graves' transcription and Hearne's edition also omit several texts that the copyists were unable to decipher (these texts were later edited and published by Ker, "Hemming's Cartulary", 72 - 75). A new edition of Worcester's pre-Conquest acta is in preparation for the British Academy's Anglo-Saxon Charters series; nevertheless, a modern edition of the entire Cotton Tiberius A. xiii manuscript is much to be desired. Although a modern edition of the manuscript is not currently available, nearly all the pre-Conquest texts recorded in Tiberius A. xiii have been edited among various collections of Anglo-Saxon charters that have been published since the nineteenth century, and several of the post-conquest acta have been recently edited by David Bates in his Regesta Regum Anglo-Normannorum: The Acta of William I (1066 - 1087). The earlier of the Tiberius cartularies is also the earliest surviving English cartulary, and has been referred to in specialist literature as Liber Wigornensis since the early 1960s. (Finberg, Early Charters of the West Midlands, 16) Liber Wigornensis (hereafter LW) is currently bound as fos. 1 - 109 and 111 - 118 of the Tiberius manuscript and contains the texts of 176 assorted records. With the exception of several leaves added subsequent to its compilation, LW appears to date from the first quarter of the eleventh century. LW is geographically organized, with provision for insertion of additional material at the end of each gathering; several post-conquest acta and administrative records were added to the collection over the course of its use. (Ker, "Hemming's Cartulary", 51 - 5; Baxter, "Archbishop Wulfstan and the Administration of God's Property", 191 - 205.) LW is the single largest extant pre-Conquest collection of English documentary texts. Images and transcriptions of those LW texts that were subsequently recorded in St. Wulfstan's cartulary can be viewed by following the links on the St. Wulfstan Cartulary page. The second Worcester cartulary bound within BL MS Cotton TIberius A. xiii, 'Hemming's Cartulary', is also the most recent of Worcester's eleventh-century record collections. Some care is necessary when consulting scholarship written prior to the publication of Ker's 1946 study of Cotton Tiberius A. xiii, since to that point it was common to refer to the entire Tiberius manuscript as 'Hemming's Cartulary'. The 80 folios which are now identified as 'Hemming's Cartulary' appear to date from the last decade of the eleventh century and have been bound with LW in their current arrangement since at least the fifteenth century (a table of the combined contents, written in a fifteenth-century hand, is found at fos. 165  6; Ker, "Hemming's Cartulary", 55  7). It is likely, however, that the parts of TIberius A. xiii attributed to Hemming and his fellow Worcester record-keepers were originally bound in a different order, perhaps interspersed among the pages of the earlier cartulary. 'Hemming's Cartulary' consists of five generally independent sections: these may have been assembled from remnants of several collections of early church records, rather than having been originally planned as a single cartulary. (Ker, "Hemming's Cartulary", 41; I have posited that the various sections of 'Hemming' may have originally been arranged to recontextualize parts of LW following the consecration of Worcester's first Norman bishop, Samson, in 1096: Herold, Memoranda and Memoria, 172-78). Hearne's edition is currently the only one available of "Hemming's Cartulary"; but references to this section of MS Cotton Tiberius A. xiii can be found in many recent publications regarding legal and literate culture in late Anglo-Saxon and early Anglo-Norman England. Recent work focusing on the cartulary itself includes Francesca Tinti's recent study in Early Medieval Europe 11, no. 3 (2002). Only two texts from Hemming's Cartulary are among those that were recorded in the St. Wulfstan Cartulary (images and transcriptions of these records from the 'Hemming' are also accessable via the St. Wulfstan Cartulary home page). The third of Worcester's eleventh-century record collections survived the middle ages as an incomplete collection of five large, double-columned manuscript leaves and two fragments of a sixth that date from the last quarter of the eleventh century. (Ker, "Offa Bible", 77) Neil Ker called this collection "the Nero-Middleton Cartulary" in 1944; before that time, C. H. Turner (who believed that the leaves dated from the late tenth century) called this collection of fragments "The Cartulary of St. Oswald", named for Worcester's tenth-century bishop whose series of episcopal and archiepiscopal leases figure so prominently in LW. The likelihood that these are the remains of the cartulary that Bishop Wulfstan had ordered compiled and entered in Worcester's bible has led me to propose that a more appropriate designation for the collection is the St. Wulfstan Cartulary (Follow this link for further description of all the remnants of the St. Wulfstan Cartulary, along with images and transcriptions of all the various versions of the records recorded therein).